A more reasonable explanation for why you sometimes see the Windows service host hosting iexplore.exe is because you likely have launched IE via a URL shortcut before opening IE itself. 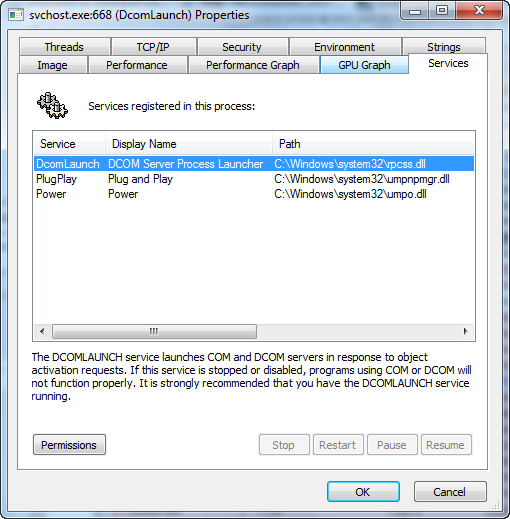 This is because the URL shortcut isn’t a program itself and needs to leverage the DCOM Server Process Launcher service inside svchost.exe to open Internet Explorer. This entry was posted on July 5, 2012 at 1:14 pm	and is filed under Inside Windows. 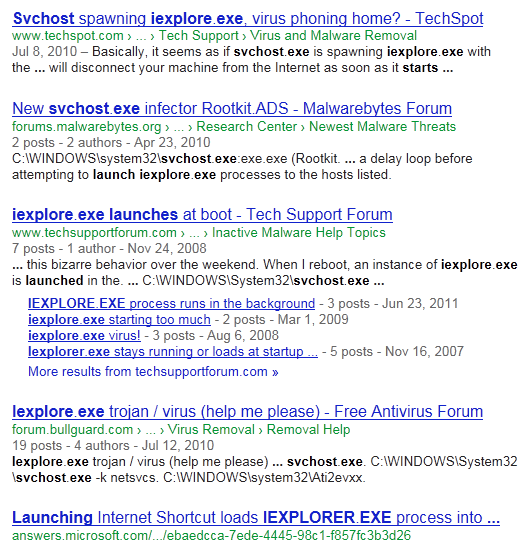 Tagged: Internet Explorer, Malware. You can follow any responses to this entry through the RSS 2.0 feed. You can leave a response, or trackback from your own site.